OAKLAND, Calif. (KGO) -- The Warriors third straight finals appearance is generating a lot of excitement, but also strong warnings about counterfeit tickets and merchandise. 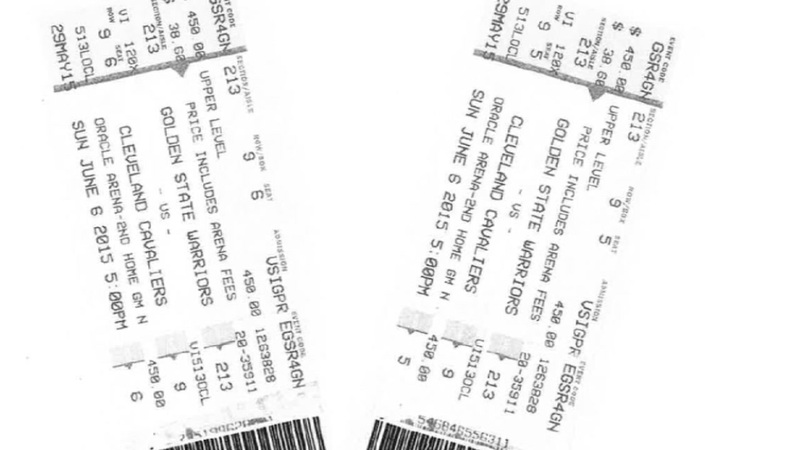 The Warriors issued a fraud alert Tuesday about fake tickets for sale on third party websites like Craigslist. At every game during the regular season, an average of 40 fans arrived at the gate t find that their tickets were fake and they could not get in. During the Finals the team expects even more fans to arrive with high-priced phony tickets. That has led to heartbreak in the past. Watch the NBA Finals on ABC7 starting Thursday, May 7.